Whether you’re planning a practical family bathroom, en-suite, wet room or full-on home spa and personal sanctuary, here are some tips on where to start with your bathroom refurbishment. Should I fit myself, project manage or use a bathroom specialist? 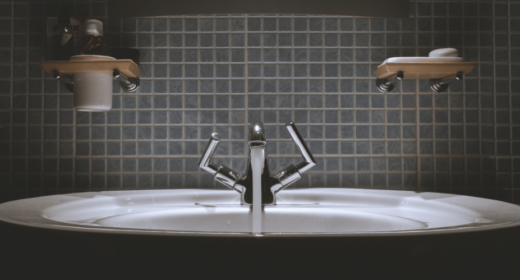 get a bathroom specialist to design and then see it through to completion for you. If sourcing and fitting the bathroom yourself, you can find a cheap bathroom suite for as little as £200. But you’ll need to source and work out your budget for accessories, shower fittings, taps, tiles, grouting and other materials, which can double the price. You’ll spend a lot of time sourcing materials online and in stores and need to be a confident DIYer. But you will be in full control of your budget, final look and the results can be impressive. While fitting the bathroom yourself can save up to 60% of the cost, do consider the time and difficulty of the job before you decide to take the project on. You should always get a professional in when it comes to gas or electric. If you’re putting in an electric shower, use a registered electrician – mistakes can be fatal! If you have a tradesman fitting your bathroom then buying the goods yourself – with their approval – can help to reduce the cost dramatically. If you are buying from a company that quotes for installation too, check to see what it would cost for a plumber and electrician to do it independently. If you’re looking for a builder to help you with your bathroom refurbishment, read our guide on how to find a trusted tradesman. Whether fitting yourself or using a specialist, you’ll need to decide what will go into your new bathroom. Many people use their existing bathroom as a template, but start with a blank canvas to create a space that enhances your lifestyle. Don’t forget bathroom storage space for towels, toilet rolls and toiletries. It’s worth working this into the original design to ensure you can fit everything in. For ideas and mood boards, Pinterest is a great tool and most designers now have an account so you can work the mood board between you. “You’ll also need to decide if you’re a bath or a wet room kind of person, whether you need a bidet or douche etc,” adds Dorian. Lighting can be a key detail, with basics starting at downlighting and ranging to back-lighting mirrors and lit ‘feature walls’. A split-face tile with concealed downlighting can make a breathtaking feature. You can even add a TV or flush-mounted speakers to listen to your music wirelessly if you want to make a statement! When it comes to practicalities it is important to consider what constitutes a realistic time-frame. Bathrooms can take between one and three weeks to complete, and depending on the size of your house the work could be rather intrusive.